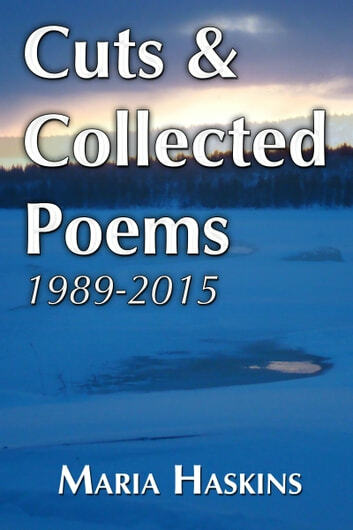 &apos;Cuts&apos; is Maria Haskins&apos; first collection of poetry written in English. 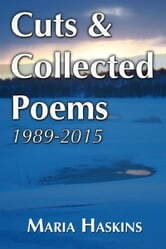 Also included in this book are her three previously published and very well-received collections of poetry: &apos;Blue&apos; (&apos;Blå&apos;), &apos;Honey&apos; (&apos;Honung&apos;), and &apos;The Third&apos; (&apos;Den tredje&apos;). All have been translated from the original Swedish to English by the author, and are available in English for the very first time. Maria Haskins made her literary debut in Sweden in 1989 with &apos;Blå&apos; (&apos;Blue&apos;), a well-received collection of poetry published by Swedish publishing house Norstedts. Her two other collections of poetry &apos;Honung&apos; (&apos;Honey&apos;) from 1992, and &apos;Den tredje&apos; (&apos;The Third&apos;) from 1995 received many favourable reviews in Sweden, and her poetry has been included in several anthologies. Her English language debut &apos;Odin&apos;s Eye&apos; - a collection of science fiction short stories - was published in March, 2015.